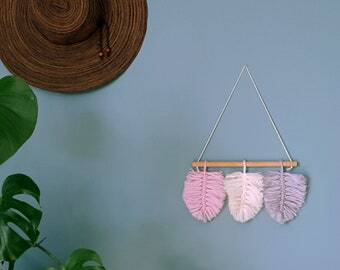 Fluffy grey cloud hanging was made of 100 % wool. Various grey shade combo is perfect for scandinavian, minimalist or monochrome interiors. 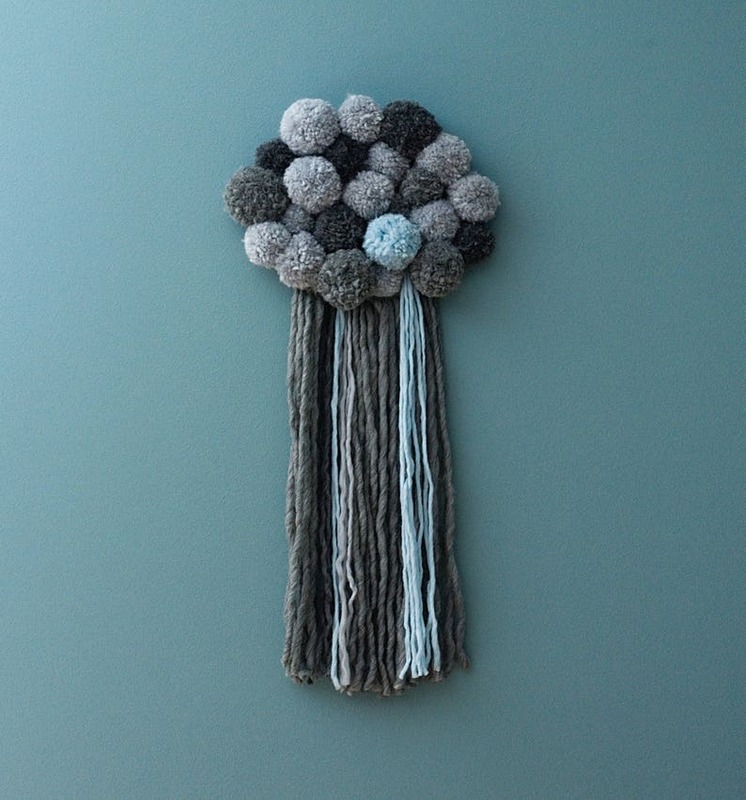 * Pompoms are made of 4 shades of grey wool yarns of various thickness. 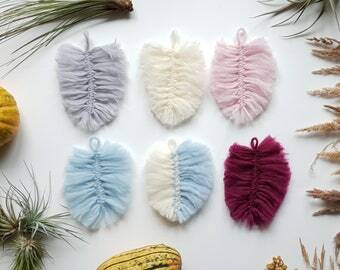 One pompom is pale blue. 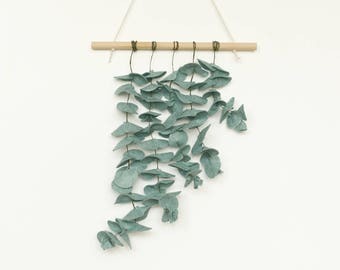 * White suede leather is used for the hanging loop. It is in the middle of the back side of the cloud and not visible. * The pompom cloud itself is approx. 12,5 inches (32 cm) width and 10 inch (25 cm) height. * Wool yarn fringes are approx. 20 inch length (50 cm). Please allow 2-3 weeks for the shipping outside Europe. If you do want some other colour combo for your cloud, please contact me before the purchase! Loved the mobile! Wasn’t expecting it to just be hung from ribbons but I like it ! Beautiful item and arrived exactly when expected. Super cute, a little squished in shipping but I think it will loosen up a bit. Only dry cleaning (might be performed gentle with vacuum cleaner). My goods are NOT gift wrapped unless it is stated in the listing. Custom or personalized orders are available upon a request. All pieces are created by hand, so no two items are identical. Colors you see on your monitor are not always the same as the real item. It depends on your monitor, so I cannot give you a guarantee that your monitor display the colors in the right way. Please ask about sizing, color and for more pictures if you are uncertain about an item before purchase. Felt wreaths, baby mobiles, flowers and garlands are made from the finest wool blend felt, it varies from thin to thick upon a listing. Every leaf is hand cut with the scissors. Felt wool balls are handmade using wet technique. They are quite stiff, tightly stuffed with wool and almost do not change their shape then squeezed.